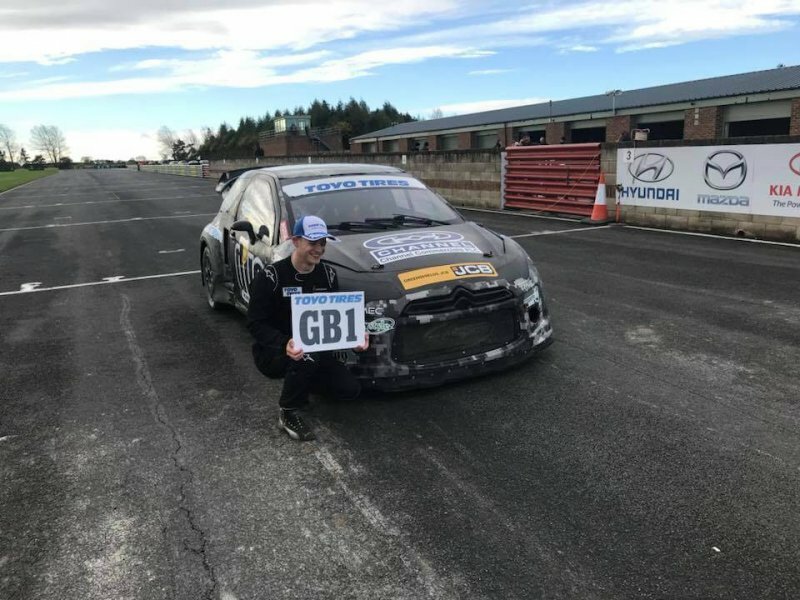 Ashford based Heathcote has just gone and became the 2017 Toyo Tires MSA British Rallycross Champion in his maiden season. The young driver secured the victory in the final round at Croft Circuit last weekend, as his biggest title-rival Julian Godfrey failed to finish. Heathcote showed some truly superb driving throughout the competition and the Croft victory is his third of the nine-round campaign. Having entered the last event 10-points behind the five time champion Godfrey, he managed to successfully qualify top in the Intermediate Classification, win the the semi-final race and lead the final one from start to finish. Last event of the season most definitely proved to be an utter misfortune for Godfrey, who initially led Heathcote in the semi-final race until a technical problem and lost him some precious time, resulting in a third-row start in the final. However, not all was lost for the Heathfield based driver yet, final race saw him rapidly climbing the order, promising a possible championship recovery. Sadly his Ford Fiesta suffered sudden right-rear suspension damage after harsh contact with Pat Doran, Dolton, causing him to retire and finish the championship in 8th place. Even though young, Heathcote’s victory at Corft is not the first on his books, it comes just a year after his 2016 Swift Sport Rallycross Championship title win, proving that older age and more experience can very well be outrun by a natural talent. He was joined on final race podium by home hero Kevin Procter, Northallerton, while another young championship driver Oliver Bennett, Bristol, completed the podium after gaining his seventh podium finish of the season. Further down the line, Steve Hill, Thame, took fourth place and saw the best finish of the season in his Mitsubishi Evo X. Jake Harris, Canewdon followed in fifth, with Pat Doran, Dolton, in sixth, while former BTCC driver, RCIB Insurance Racing Sponsored, Team BMR Principal, Warren Scott, Buntingford, finished with did not finish due to technical problems, however was seventh overall. Heathcote followed his Championship success by dominating the Procters Coaches MSA British Rallycross Grand Prix at the same circuit. What a great season for the young driver!